I’m excited to introduce to you speech expert and Ace Peak Coach Leah Busler. Coach Drew and Leah at NITOC 2018. 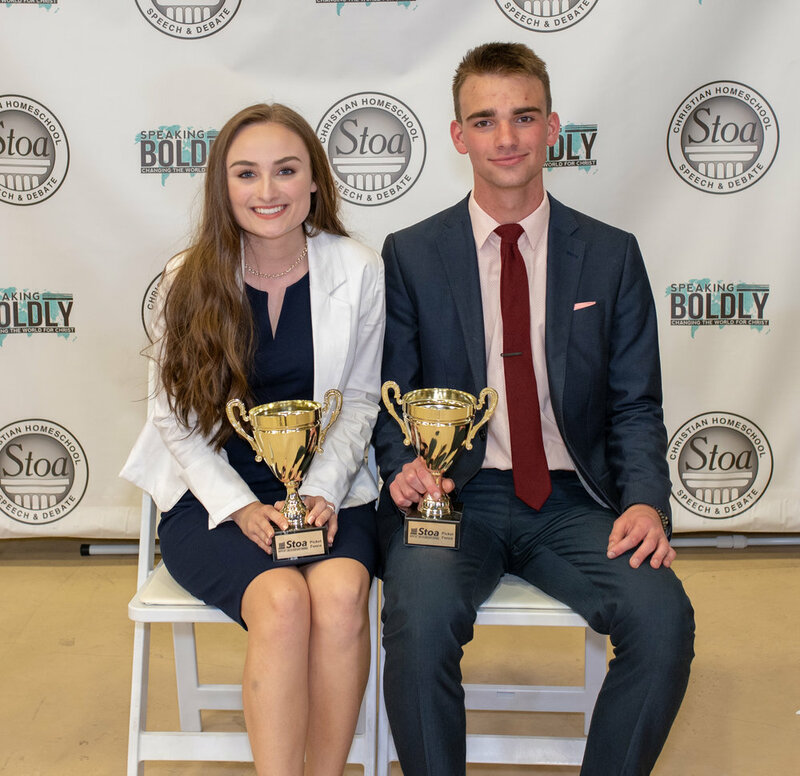 Drew and Leah were the only competitors at NITOC 2018 to receive multiple picket fences. As a competitor, Leah’s accomplishments speak for themselves. She holds five national titles in individual events and is the only competitor in league history to have won titles across all four categories of speech: limited prep, platform, interpretation, and wildcard. Leah was an exemplary student. Always attentive, always asking questions, always working relentlessly at her events. It’s no accident that her dominance in speech and debate rankings lasted for years. She had all the tools that a masterful competitor needs. Beyond her accomplishments, Leah has a heart of gold. Few people are as positive, uplifting, and compassionate: and we are overjoyed to have her on the Ace Peak Team. Leah is here to guide you through any and all of her speeches. Click here to book your first session with her.